The Fortnite devs have clearly been listening to their fans, as at the very start of Season 5 of the game, we were gifted with something that people have been cleating on about for some time, us included. Yes, the inclusion of the oft-contentious motion controls that have grabbed Switch players hearts and won't let go, but unfortunately they're not exactly worth your time. Simply put, there are many design oversights that need to be addressed, and thankfully they all could be in future patches. When jumping from the buttery smoothness of Splatoon 2 to the judder and inaccurate offering Fortnite has, there's no metaphorical comparison. Of course there's plenty of room for a literal comparison, so we did that. Make sure you give the video above a watch for all the juicy details, and if you happen to have played with these motion controls enabled, please let us know how you got on in the comments below. It isn't Splatoon 2 level, but for me, Fortnite is way better with what is currently available. I've already had a few run-ins where motion controls saved my hide. I was looking forward to trying this out then realised the wife and I play together with me playing mostly handheld only to swap if I need charging. Can't imagine motion while attatched to the system so haven't bothered. This is where frame rate comes in. Splatoon 2's motion controls were smooth, Fortnite & Doom, not so much. I thought the motion controls in Immortal Redneck were well done. Motion controls are fully customizable and well implemented. Even friends that own different platforms are in love with the implementation. I fully disagree with the author's opinion. What do you guys recommend for the setting of Splatoon 2? I agree with the points made, but overall I still feel like I'm a lot better at Fortnite with motion than without it. Sure it's not ideal, but it still allows for higher precision and you can now swiftly aim at jumping enemies. At least we got them! Give it time, I'm sure Epic will continue to make the controls better. I just use sticks anyway because it's more comfortable, and I mainly play in handheld mode, so moving the screen about is annoying. The controls in general stink. Needs more customization and binding options. Splatoon 2's leave a lot to be desired in my opinion. Can't move the camera on the vertical axis just using the stick if motion is on, and it just doesn't work when you're lying down because the camera will be pointed way up even if you press Y to reset the position. This'll likely have been affected by the frame pacing issues Fortnite exhibits on Switch. Splatoon 2's got a mostly locked 60fps with almost perfect frame pacing for a buttery smooth experience. A better comparison would be Doom's or Wolfenstein 2's more taxing areas since the gyro performance there would be comparable to Fortnite's. That said, there are certainly some refinements that can be done to improve Fortnite's gyro performance but I think trying to stabilise the framerate and frame pacing would help alot. I absolutely love motion control in DOOM on Switch, they did a fantastic job. Personally, I love Fortnite’s motion controls more than Splatoon. I like how I can use the right stick to look up and down, even when gyro is on. The auto adjusting isn’t a big deal (for me) at all. Just use the right stick to re position, and BOOM! Works better in handheld mode. Trying to use them when the system is docked and holding a joycon in each hand doesn't work nearly as well. Also, the game is prone to being laggy, which doesn't help. The motions controls are great, my settings are .40 .40 and .20 and the fact that to center them all you have to do is aim with the r stick is genius no button pressing needed. I disagree completely. I'd say that this is a framerate problem more than anything. Splatoon is a much better game anyway. Oh, I didn't know it had motion controls now! I almost jumped to get back in the game. Then I saw Alex demonstrating the sniper and died a bit. It's nice of Epic Games to have them implemented so fast, but they surely need another update. However, I'm going try it out later for myself to see if it's as bad as it looks. @Cosats how would people on other platforms b able to utilize motion? After the several victories I have had using normal controls I don't see any reason to need motion controls, hopefully they improve them for those that require them. This game has aim assist while Splatoon 2 doesn't as far as I know so they are much less needed. Objectively Fortnite’s motion controls are less accurate than Splatoon’s. There is a fair bit of dead space, so if your trying to shoot someone at a distance then Fortnite’s motion controls don’t recognize your very fine movements. Splatoon is buttery smooth even when making a very small adjustment to your aim. Can anyone in this thread tell me if Splatoon 2's motion controls are buttery smooth? I’ve set the Fornite motion controls at .35 .35 and .25, and haven’t turned off aim assist. I have used motion in Splatoon 2, Wolfenstein and Doom on their default settings which are right in the middle (I think). Maybe it’s the fact they don’t work as well when they’re cranked up to the 80s or 90s? The reason Splatoon 2's motion controls feel "smoother" is because of the FPS. 60 fps is naturally going to feel smoother than 30, thats a given. But that doesnt mean Fortnite's motion controls are worse by any means. @Switch_will_fail Most of what you said is irrelevant to the conversation - which is strictly comparing the motion controls. I do agree with you, the major difference is due to the frame rate. However, when making fine adjustments (ADS/Sniping) the crosshairs do tend to jump a bit sporadically at times in Fortnite. For me, it's no question which has the better motion controls, even if there are several things Splatoon could learn from Fortnite. @Switch_will_fail I said "most" - and considering the next two paragraphs were completely unrelated to motion controls, that is accurate. There's not much sense in comparing other aspects of the games here. I mean friends of mine that own other platforms but have tried the motion controls on my Nintendo Switch. @NINTENDOLIFE Change this paleolithic comments system. I'm glad they added them and I play way better now with them on especially coming from Splatoon. With updates I think they'll get better, cause they seem very wobbly at the moment. You have THREE sensitivity sliders for motion controls on Fortnite, when this feature was added FINALLY I was able to steady my aim, breathe and shoot to kill. I really hope they continue to work on them. I'm glad they added them and they're better than stick controls at least but it just doesn't feel right. They feel too slow and unresponsive to aim accurately with and trying to scope with them is just impossible. I've taken a break from the game for now. I've put 100 hours into the game hoping I'd get used to it but it feels as unnatural to me as when I started. I am in the seeming minority of Switch fans who really has no interest in motion controls. Yes, I even play Splatoon without them. Over 90 hours. Call me old fashioned. But on this issue, Splatoon is a lovingly crafted masterpiece of a game designed with motion control in mind. Fortnite is a widely popular fad whose popularity isn't even based around its original gameplay idea. Motion controls are yet still, another after thought. And to my knowledge, Epic Games hasn't really worked with motion controlled games much, if at all, before. I quickly skimmed a list of their games and nothing stands out in that regard. So it seems silly to expect them to get it right on the first, or first serious, try. @Equinox I hear quite a few people say that.. my entire friend group has moved to higher levels of play and we're all adults. when you play in squads with adult humor and jokes being thrown around, it's a great time. I respect the crowd that doesn't latch onto this game though. 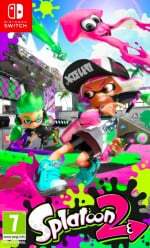 The big difference is Splatoon started production a long time ago and used motion controls from the start. It wasn't released on any other platform before needing converting. Add that to it being a big budget AAA game released for full retail price. 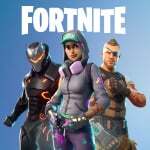 Fortnite is Epic's first FPS to use motion controls (not Nintendo's... ) And are doing so for motion controls designed by another company (Splatoon has the luxury of being made by the same company that makes the platform and the motion controls) and on a game that was created for a different platform. It has been out a matter of weeks, and isn't finished. It is a "live" service. To cast shade this early on is a joke. And a little bit silly. By that standard we should judge children harshly "what do you mean you cannot use calculus and differentiation to find the optimal cuts to make the biggest box! You're 8! A 24 year old degree level engineer could! Your first attempt was rubbish!" Instead people should be thankful they are trying, as I personally wouldn't. I find the idea of using motion controls as a gimmick and in solo game, it's fine. But in a team player based game (squads) an idiot with motion controls can let the team down. And then there is this idea that it's better... It really isn't. It's like analogue sticks... They are great and all... But the top Street Fighter/MK/etc players still use D pads or fight sticks. Not analogue thumbsticks. I think it is great for people with disabilities. And needed. But for every day use? I think it is a gimmick and there is a reason that Sony, MS and the PC market havent brought in motion for online FPS. The irony is that if you wanted to be at your best you'd call for Ninty to release a keyboard and mouse. And don't say about handheld, because using motion in handheld mode is just dumb if you live anywhere with sunlight. I didn't really like FN's gyro controls for two reasons. 1. Input delay is too much imo, because of this it feels so sluggish and imprecise. 2. There's an invisible low res grid that makes it impossible to aim at certain pixels at distance. Like if i'm trying to aim at an enemy and my crosshair is 3-4 pixels to the right, i then naturally try to make slight adjustments, it then jumps past the enemy and now it's 3-4 pixels to the left, like there's nothing in between. I'm sure they'll work on it to make it better.